So we always thought these weird old bird-shaped masks with the lenses looked pretty cool. After all, who wouldn't want to be a bird? 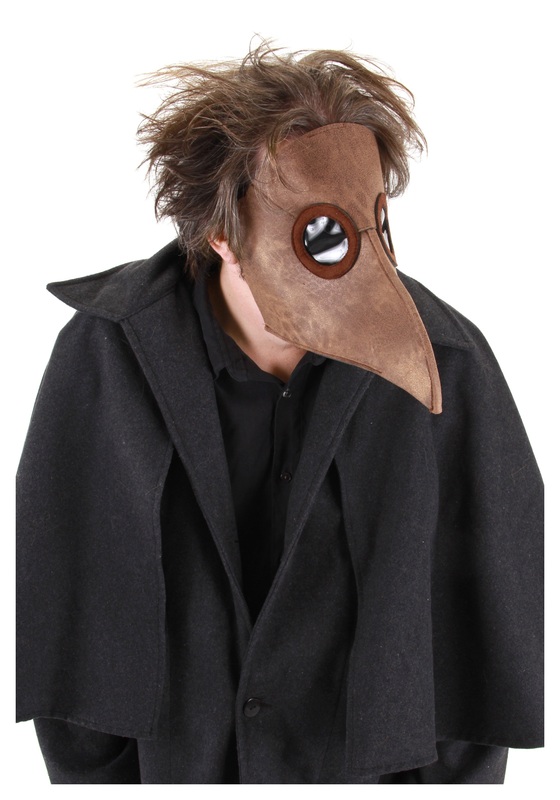 And then we discovered this is actually a Renaissance-era plague mask that doctors would wear, filling the 'beak' with herbs to supposedly prevent the plague and also to mask the scent of bodies and decay. Because of this, we have determined that this mask is scary and cool. Which, you know, is perfect for a costume. This Plague Doctor Mask will make you mysterious, cool, and a little terrifying! It's a win win! The mask is made of polyester foam, printed to look like leather, with clear plastic eye lenses and an adjustable strap. Now just hobble around with a cane (another plague doctor thing) tapping at people and watch them really freak out. It'll be awesome.